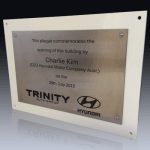 Stainless Steel Etching is a process where the surface is coated with a silica based product and a laser is used to burn the coating into the surface of the stainless steel leaving an almost black mark. 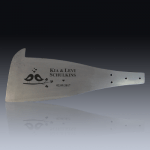 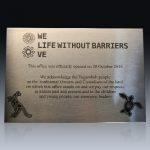 Normal steel and most other metals can also be laser etched. 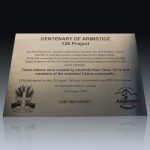 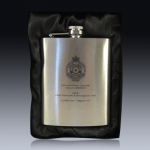 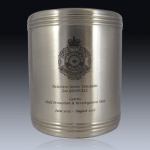 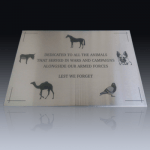 Very fine detail can be achieved with laser etching. 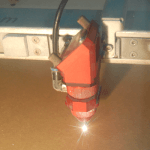 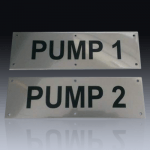 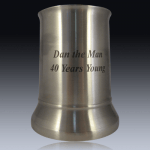 In abrasive and harsh environments it is preferable to have stainless steel engraved and paint filled, not only is this more durable the paint fill is darker than laser etching. 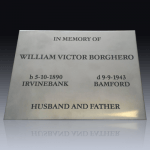 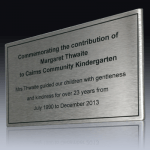 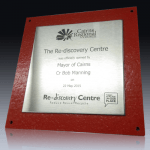 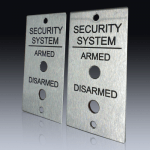 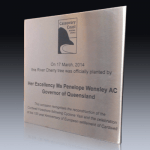 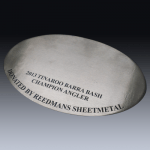 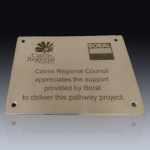 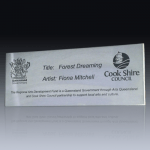 Follow this link to view engraved stainless steel. 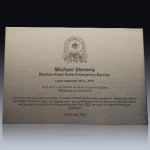 Here are some examples of etched stainless steel.